So whether harmful fried foods? Roasted sunflower seeds sunflower seeds are a favorite treat. With different ways of roasting the seeds get a wide variety of aroma, taste and aftertaste. Note, however, that sunflower seeds can bring not only good for the body, but harm. The seeds are considered a unique product. On the nutritional value of sunflower seeds are superior to meat and eggs, are easily digested by the body. They contain large amounts of proteins, vitamins (PP, D, B1, B2, B5, B6, B9, E, A), minerals (zinc, selenium, iron, iodine, calcium, manganese) and beneficial fatty acids. Roasted seeds contain large amounts of dietary fats and fat-soluble vitamins. Fatty acids help to reduce level of harmful cholesterol in the blood and slow down the aging process. This product must be in the diet as it is an excellent preventive measure against atherosclerosis, fractures, heart attack, skin diseases and infectious diseases. 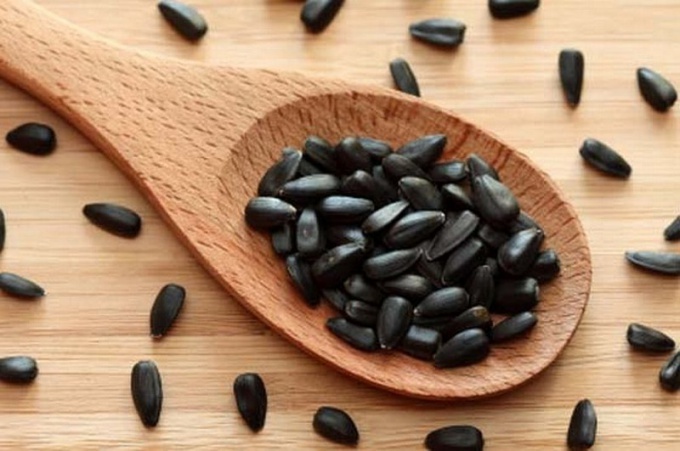 Sunflower seeds – rich source of magnesium. It is believed that gaping silence soothes the nervous system. Is your rose meditation, which is not inferior in its effect shuffling of beads. There are many weight loss diets that recommend eating roasted sunflower seeds. They are able to reduce the appetite, not to allow the person to satisfy your stomach fat harmful food. Seeds normalize the acid-alkaline balance, helps with diseases of the biliary tract and liver. Roasted sunflower seeds contribute to the strengthening of hair and nails. Should abandon the use of roasted seeds of people who have at least one of the following diseases: gout, colitis, enterocolitis, stomach ulcer. Damage of sunflower seeds is that they contain large amounts of carbohydrates and oils. The calorie content of a Cup of sunflower seeds can be equated to two servings of pork barbecue. To bring your body a favor, enough to eat two tablespoons of this product. If the seeds to roast too long, the nutrients simply vanish. Therefore, it is better for them to just dry it in the oven, not frying. Fried seeds are dangerous, as the oxidation of oils produce carcinogens that can cause cancer when consumed regularly. The roots of a sunflower from the soil absorb not only nutrients, but also harmful (cadmium). When you purchase seeds you can't be completely certain that the sunflower was growing in a clean place. Do not eat roasted seeds singers, as they are bad for the vocal cords.